Earth Day is an annual international event, that is held to demonstrate support for environmental protection. 192 countries annually celebrate this event. There are two major dates for celebration of Earth Day. The first one falls on the spring equinox, the second one is held one month later, on April 22. 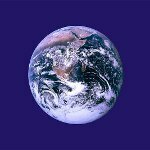 The celebration of Equinox Earth Day was proposed by peace activist John McConnell in 1969 at a UNESCO Conference in San Francisco. According to his idea, this holiday would honor the Earth and the concept of peace. The first celebration took place on the first day of spring in northern hemisphere in 1970. It featured various celebrations held in the cities of the US. McConnell's global initiative to celebrate the event was supported by UN Secretary-General U Thant, who signed a proclamation in 1971. The traditional observance of Earth Day is ringing the Japanese Peace Bell, a United Nations peace symbol. Alike celebrations occur in many countries around the world, where the bells sound in many big cities.